Visit us on the web for product and project information! GREETINGS FROM OUR SOLAR POWERED OFFICE: Hello folks (this is Chris Daum, owner, here): Another year has come and gone, and I am happy to report that I have had installed the system of my dreams...FINALLY….more details below! For those of you who aren’t “on line”, or are beginning your project, we have an extremely informative Product Catalog on disc for $10 ($20 out of country)—essential for your energy library! Products, system sizing, pricing, components, importance of energy efficient appliances, battery care, and wind turbines are just some of the topics covered. If you are on-line, you can see example systems at www.oasismontana.com/systems.html. To assist your information input, we’ve tried to develop as much on-line information as we can. For solar water pumping, see www.PVsolarpumps.com; for utility-tied photovoltaic systems, visit www.grid-tie.com; for efficient AC appliances, DC ’fridges, coolers and freezers see www.eco-fridge.com; for natural and LP gas appliances, see www.LPappliances.com; we now offer composting toilets at www.eco-potty.com and our main page is www.oasismontana.com. Visit our web pages and stay a while! Or send us an e-mail and get on our e-list for the latest technology information and pricing specials. There’s really not a module missing at the top (right) of the main array; there’s a plumbing vent there as well as the morning shade of the stove stack, so a module was left out to conform to code and common sense (you don’t want shading on your solar modules at any time, if it can be avoided). The array configuration is seven sets of four modules series-wired for the proper input voltage for the Classic charge controllers. “Initially I was going to keep my old inverter and battery set-up and just use the Sanyo’s in a straight grid-tie (batteryless) configuration with an SMA or Fronius inverter. Then this new inverter came on the horizon in late summer. The more we heard about it, the more inclined we were to give it a try; you can still feed power back when you are making more than you are using, and it has the surge capacity to run my 1.5 HP, 240VAC water pump." Above left, the big stainless box is the Radian inverter; the two black components are the Classic controllers, and the other grey boxes are the combiner enclosure and AC sub-panel. SOLAR MODULE PRICING—call for availability, freight costs, and quantities (# of modules) on pallets for the best deal. You can’t get less than a pallet quantity to get the pallet ‘deal’. For larger modules, pallet quantity generally runs between 20 and 40 modules, and oft times there are significant additional charges for less than pallet quantities. Some suppliers charge re-boxing fees too. Sanyo solar modules meet qualifications for Buy American Program. Made in Albequerque, NM. Other size modules also available, call for more info. Modules manufactured in Kyocera’s San Diego facility qualify for Buy American Program. Made in Milwaukee, WI, USA! Other Helios modules available, call for more info. Due to the possibility of the Chinese import war, call for current pricing information—prices subject to change without notice. 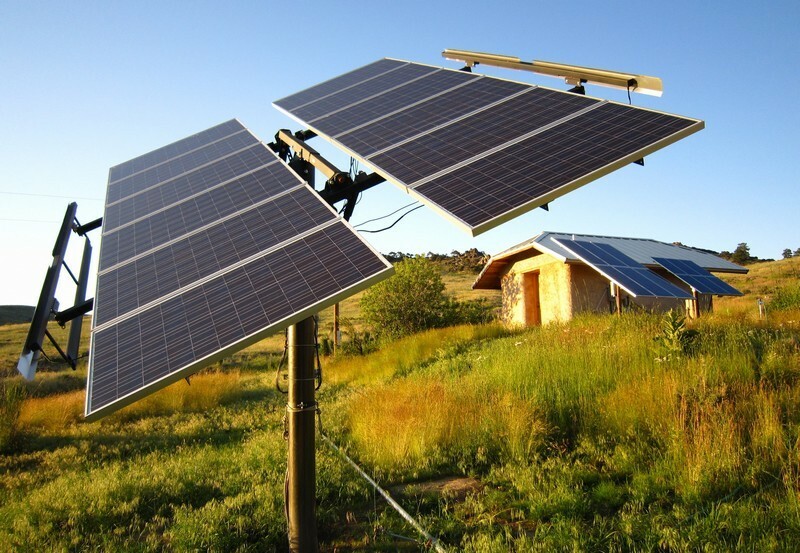 Outback Energy Cell Battery System: As the demand for renewable energy increases, the needs of system integrators and installers are rapidly evolving as well. OutBack Power is responding by engineering its acclaimed line of BOS (balance-of-system components) into preassembled systems to give installers the best of both worlds: OutBack quality in a more easily specified and installed package. The OutBack Integrated Battery Rack system is a comprehensive battery enclosure solution with cell interconnects, cabling, and series string overcurrent protection and disconnects included, making it easy to order and install. All electrical connections are made at the factory and ship fully assembled with the exceptio n of the batteries, which can be quickly added and connected on the jobsite. Pair this up with a set of Outback’s new Energycell RE batteries for a simple and robust back-up system. The EnergyCell RE valve-regulated lead acid battery is designed for high power density and renewable energy cycling applications, with Absorbed Glass Matt (AGM) technology for efficient gas recombination of up to 99% and freedom from electrolyte maintenance. The EnergyCell RE also features low profile terminals with threaded copper alloy inserts providing reduced maintenance and increased safety. Best of all is this new battery system outperforms and costs less $/Ah than other comparable systems. Call for more information, 877-627-4778.
areas, drip irrigating your garden, or want to keep your pond topped off, call our system designers. We have water pumping systems all over the world! Please answer all the questions on our web page at www.PVsolarpumps.com so we may determine the best components for YOUR solar pumping project. WHO WE ARE and ORDERING INFORMATION: Chris Daum, owner and manager of Oasis Montana, has been in the renewable energy field for 23 years. Our staff offers experience, personalized service, tech support, quality components and good pricing. We are happy to work with your installer, electrician, or contractor, and locally we can install your power system (or even fly to your site for installation). We provide detailed wiring diagrams with the systems we sell. TO PLACE AN ORDER: E-mail or call us for your freight; if you have any questions about your system or product, please contact us. E-mail is easiest and fastest (but we know that you aren’t all on line). We accept Visa/Mastercard (personal and business checks are fine). For our international customers, we accept bank transfers— e-mail or call us for our banking information. Our hours are 8:00 am to 4:30 pm Mountain Time, Mon. – Fri. If we‘re on another line when you call, please leave us a message, and we’ll get back to you as soon as we can, but you may have to leave a message if we’re with a customer or on one of the other lines. 406-777-4321 or 4309 or e-mail us at info@oasismontana.com — for tech support on renewable energy systems, e-mail larry@oasismontana.com. We’d be very happy to help you with your power project — send an e-mail or give us a call! The Importance of Battery Monitoring: With any solar power system, understanding how the system is performing is essential for protecting the owner’s investment. If the system is battery-based, being able to monitor the batteries’ level of discharge is important since batteries are generally the weak link as well as very costly. Many off-grid owners develop a skill called ‘load management’, which means you are conscious of when you turn off appliances and multiple loads together, especially during times when the sun is not shining much or the gas-powered generator is not running. Most off grid systems use a digital meter to automatically set a predetermined low voltage setting that can turn on a gas-powered generator to make sure that your batteries never go below a certain percentage of discharge. The level of discharge will vary from owner to owner, determined by how often (or little) they want to run their generator or by how much sun is available in the area. Often discharging the batteries 50% is common for owners, but many will recharge after the batteries have discharged only 20%. The 20% level is often used when the battery bank is grid-tied, which allows for recharging from the grid and is cheaper than burning propane, diesel or gasoline in order to run the generator for charging. If a system owner is using a Magnum Energy inverter then they need to invest in an auto gen start (AGS) that works with the remote digital meter. The remote meter has the AGS settings in the meter and the auto start uses these settings to start the generator automatically when a certain low voltage set point has been reached. Outback has the AGS set points built into their MATE system monitor as well, which activates a relay switch to turn on the generator. In addition, the MATE has many more charging set points to work with, making it both more complex and advanced then the Magnum’s AGS. Fortunately, the new MATE 3 that Outback Power has developed is more user-friendly than the original MATE models by using more icons and having easy-to-use buttons dedicated to a variety of functions. Often with small modified sine wave (or square wave) inverters that still have a built-in AC charger, the inverter does not have a meter; instead it has knobs on the inverter used to adjust the charger's set points. Unless the owner uses the stand alone AGS that Magnum offers (which monitors battery voltage on its own without relying on a digital meter) the owner will have to manually start the generator. So the owner still needs a meter of some sort in order to know what is the batteries' state of charge. In this case, the most common meter is made by Bogart Engineering, and is called a TriMetric meter. Many people use the TriMetric meter as a back up in order to make sure the main system’s meter is accurate. There are a few options with TriMetric meters; the original is called a TM-2020 and is used with 12-24 volt systems. Since 48 volt systems are more common today, Bogart has come out with the TM-2025A which can be used on systems from 12 to 48 volts. For the system owner who needs more capabilities than the Trimetric offers there is the PentaMetric meter. This meter can monitor one or two systems at the same time using a common negative. When only one system is used it can show battery current plus two charging sources/loads. It is also possible to interface the PentaMetric with a computer for remote monitoring. No battery system should be expected to function properly without some form of monitoring system. Often with grid tie systems, the monitoring equipment is an added expense and people decide to omit to save a few bucks. Luckily, grid-tie systems are so turn-key the owner is able to get by without knowing the system's output. The downside to this is if they do have a problem they usually do not know about; and thus end up paying for utility power while the PV system that they have purchased fails to do its job properly. With an off grid system, battery monitoring is essential for maintaining the system’s health and without it, the owner will likely be disappointed in the short lifespan of his or her battery bank. Having some form of monitoring device for your system is key to understanding your system's capabilities (or limitations) and helps the owner interact with their system, leading to greater battery longevity and better performance. Not having a battery monitor to give you your system's information is very much like driving a car without a working gas gauge! It is worth the investment in a decent battery monitor to protect the integrity of the heart of your system--the batteries. If you have any questions about a battery monitor, call us at 877-627-4778. COMING APRIL FIRST: Peerless Premier Cordless DC Ranges: Beginning April of 2012, the Department of Energy has banned the production of standing gas pilot ranges in the USA. These new ranges from Peerless will have a DC electronic ignition system that will operate off of a battery pack consisting of eight double A batteries, and those will last at least 3 to 4 years (and, according to their tests, perhaps as long as 7 or 8 years). They will give an audible signal when the batteries start to get low, but will continue to operate for some time after that. There will be a small overlap period for the changeover in production, and the standing gas pilot ranges will continue to be offered until they are out of stock. If your preference is a standing gas pilot range, you should order yours now. 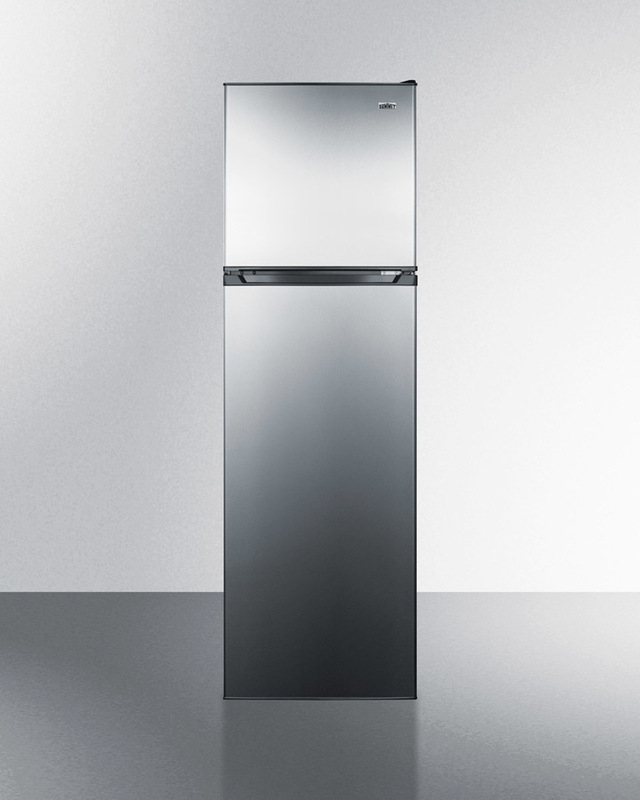 But, these DC ranges do offer some benefits compared to standard gas pilot ignition ranges, including enhanced safety, convenience, energy savings, and the ability to work in the absence of AC power or during power outages. There will be a total of six Premier Cordless Ranges that will be introduced and supported accordingly, comprised of the best-selling range sizes in the current Premier range line up. While we do not have confirmed prices on these upcoming models, the 30” range, left, the BFKS9WP, is likely to cost $680 before freight. A 36” wide fifth burner model with this style will also be available, the BLK5S9WP, and its cost will be $720 plus freight. Top burners are 9100BTU; middle burner can either be a cast aluminum griddle or another burner, and there’s also a cover if you do not need the burner. Oven burner is 17000 BTU. Backguard is 10” tempered glass and chrome heat reflector trays are included. All these stoves’ cooktops are porcelain finished for longevity and ease of cleaning. $485; the 24” BCK100OP (pictured at left) will be $520; BFK100OP is the 30” model, $545, and the 36” model BLK100WP will be $620 plus freight. These DC ignition stoves are available in the open burner style only. These units come set up for natural gas, but all models include information for easy LP conversion. Note: there is no interior light in the ovens on these stoves. All of these gas ranges adhere to the federal mandates driving the industry-wide changes impacting standing gas pilot ranges. To track or not to track. . . Since the advent of the solar module, people have been trying to find out ways to make their arrays more efficient so they could harvest as much sun energy as possible. Some of these innovations have included reflecting mirrors, magnifying lenses, concentrators and cooling systems. Perhaps the most effective of these has been the solar tracker. Since a solar module will provide the most power when the sun’s rays are striking the cells perpendicularly, it would make sense that if you optimize the amount of time they are in that orientation the greater your power production. A solar tracker does just that, it “aims” the solar array at the sun and continues to track it throughout the day. Some trackers produced today use electric motors to change the orientation while others such as the Zomeworks Tracker use a passive system that relies on the weight-shift of refrigerant gas within its rail tubes to pivot the rack. It has been found that these trackers can increase your system’s capacity by upwards of 35% in summer, which in turn leads to a smaller array size and thus a reduced system cost. In winter, the gains are much smaller. Recently though, the latter benefit may be shifting. With solar module prices plummeting down below $2.00 per watt and the costs of metal on the rise, we have been finding that in many cases it is making more sense economically to steer away from the trackers and lean more towards simply increasing the system capacity. In other words instead of using a tracker to increase your output by 35% it now costs less to leave the array fixed and just to increase the installed capacity by 35%. It will not only pencil out less expensive, but it will also give you peace of mind that there are no motors or moving parts that may require maintenance or replacing. Another thing to keep in mind when planning a grid tied PV system is that many rebate programs are set up to give you back a certain dollar- per-watt of installed capacity. If you were to install a tracker with a smaller array -- your rebate would be smaller as a result. That being said, there are times when trackers do still make sense in the design of a system — one being if you simply need an array with less square footage of modules. Other advantages come into play typically when dealing with solar water pumping; for example: if you have a low producing well and want to pump as much water as possible from it in one day without pumping it dry. In this case a tracker will help the pump operate at its maximum potential for the better part of the day, rather than a fixed system which will start slowly, peak at mid day and then taper off. Hopefully, new innovations with trackers will again shift them back into the spotlight, because let’s face it, they are pretty cool! If you think you have a situation where you think a tracker would suit you, give us a call to see what model works best for your project; you can also view info at www.oasismontana.com/zomeworks.html. We just keep throwing it away. Energy that is—we keep throwing it away like litter along the highway. A little air leak here, a power strip that we never turn off, the draft that never gets sealed, idling our vehicle longer than we need for warm up, bumping the thermostat up another 10 degrees to knock the chill off—any number of ways that we just keep loading the atmosphere with our wasted heat and power. Fortunately, one of the prime things that we encourage our customers to accomplish is energy conservation. For those considering the switch to a renewable energy source it can make the difference between affordable or not. When we own our own power plants, we become much more mindful of where our energy dollars go. Since component costs are relatively high, we have a tendency to conserve power wherever we can! Another module at $400, a larger inverter, two more batteries...it quickly makes economical sense to conserve power. It’s funny, when I was talking to a client this week about their home, they were laughing when they told me that most people never knew that they were off the grid! There really isn’t any difference regarding the source of electricity--power is power and the source just doesn’t matter to the refrigerator, microwave or light bulb: as long as it is available and the right voltage/frequency, the appliance will run. Energy conservation is easy, simple and cheap. Getting started is probably the most difficult step in the entire process. There are so many ways that a person can go—getting started on one of the paths will allow the next path to be followed when the time comes. Let’s start simple. If you see a piece of paper—pick it up. This is a simple start for a litter problem and you can be just as simple with your energy conservation. If you see an unneeded light on—turn it off! Use of Compact Fluorescent or LED Lights is another great way to reduce the energy that you are using in your home or business. If you aren’t sure just what that old beast of a refrigerator is pulling for an electrical load, we at Oasis Montana have a great little inexpensive monitoring tool called a “Kill-a-Watt” meter that will let you know what any appliance in your home or business is using for energy. Wouldn’t it be great to be able to walk in to an appliance store and know what you are presently spending in energy use when you look at those fancy yellow stickers with the “Energy Star” ratings? Some people are already well on their way to understanding where their energy dollar is being thrown away or spent. Those folks have started on the path to conservation and simply need an idea on where to go next. Here are some idea’s: insulation is always a great move; “R” rating means the insulation’s resistance to heat flow. When you go from an R-5 to an R-49 in your ceiling you not only hang on to the heat longer, your heating requirements are lessened. Another thought that can help quite a bit is to seal the air distribution ductwork on your forced air furnace. By some estimates we loose over 30% of our heated or cooled air through leaks in our ductwork. Duct tape isn’t going to work, you need to use that sticky-comes-in-a-can stuff that you paint on with a brush. Once you have sealed your ductwork be sure to insulate it with a jacket of R-5 to R-8 insulation. As long as you are going to be heating or cooling the air, you may as well have the heat or cold that you are paying for! Otherwise you are throwing it away. Some folks consider the idea of window replacement as a great investment move--and it might or might not be. There are some perfectly adequate windows in buildings and homes now that would have a better First Dollar spent somewhere else. Sealing a building to limit the natural air turnover rate to four times an hour may be a better investment. When you are getting serious about energy conservation it may be a good idea to ask for an energy audit from your utility. These are generally free to customers and can provide a good direction to start. For a nominal fee—generally around $250~$400, you can have a local energy audit company come to your home and they will provide you with recommendations on which energy conservation strategies would be best for you to employ. These audits will typically use a blower door test with an infra-red camera to spot points in your building that are leaking air (heat). These tests may include the use of a Duct Blaster to gauge the air tightness of your ductwork also. If you are seeking an energy audit company, be sure to ask if they are RESNET certified (http://www.resnet.us/). This will assure that they employ the latest techniques and practices in making sure that your home or building has the correct amount of ventilation, your natural gas or propane appliances are correctly adjusted, and help you to ascertain next best steps for you to take. There are plenty of energy conservation ideas out there and we at Oasis Montana are more than willing to share some thoughts and concepts. We would love to sell you a power generating system that will meet your present consumption but that might not be the best for you. We may be able to reduce the amount of energy that you are using and wind up with a lot smaller system that will still keep you powered in the winter, cool in the summer. Ultimately it is your call; do you want to keep throwing it away ($ka-ching$) or is it time to start putting some of those dollars in your own pocket? This electricity detector and monitor can educate you about your monthly electric bill and help you save a lot of money. You can now be a ’detective’ and ascertain what appliances are actually worth keeping plugged in. Simply plug in the Kill-A-Watt meter, connect your appliances to it and Kill-a-Watt will assess how efficient it really is, showing you the instantaneous power used, and also cumulative energy or kilowatt-hours used. 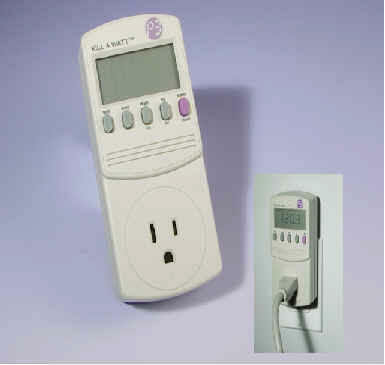 Kill-a-Watt, with an easy-to-read LCD display, will count consumption by the kilowatt-hour, same as your local utility. With the help of Kill-a-Watt you can figure out your electrical expenses by the day, week, month or year on a given device. Kill-a-Watt can check the quality of your power by monitoring Voltage, Line Frequency, and Power Factor. NEW PRICE of $25. Now you'll know if it is time to install a power strip on your entertainment center instead of feeding those ghosts loads while you are sleeping or away from home. Or, is that laptop really cheaper to power than a desktop PC? And how much power does that HD TV use? --Cameroon Farmers turn dung into power: http://www.trust.org/alertnet/news/cameroon-farmers-turn-dung-into-power/ A government program in Cameroon is helping rural livestock farmers convert animal manure not only into fertilizer for crops, but bio-gas for lighting, heating and cooking -- as well as a source of added income. One farmer says she is using money from sales of excess fuel to pay for medical care, education and animal stock. --Negative Carbon Gasoline to be Road Tested by CoolPlanet Biofuels: http://www.energyboom.com/biofuels/negative-carbon-gasoline-be-road-tested-coolplanet-biofuels CoolPlanet Biofuels has received approval from the California Air Resources Board to road test its negative carbon gasoline in California. The company's unique negative carbon biofuels are produced by converting low-grade biomass -- such as grass and woodchips -- into high grade fuel. The negative carbon byproduct that comes from the process of conversion can be used to sequester carbon and act as a soil conditioner. The first fleet test will involve blending this negative carbon blend with California's standard E-10 gasoline to help meet California's 2020 goal of 10% emissions reduction. CoolPlanet has the capability to produce over one million gallons of 2020 low carbon gasoline this year, and projects ramping to a billion gallons by 2015 and significantly higher volumes by 2018. Some of the highest ranking retired military leaders have released a report "Ensuring America's Freedom of Movement: A National Security Imperative to Reduce U.S. Oil Dependence" calling for "immediate, swift and aggressive action" for the US to reduce oil consumption 30% over the next 10 years. The report is by the CNA research organization's Military Advisory Board. The analysis measured the effect of four different theoretical blockages in the flow of oil, each lasting 30 days, in the Strait of Hormuz, the Suez Canal, Bab el-Mandeb, and the Panama Canal. Under a worst-case scenario, 30-day closure of the Strait of Hormuz, the analysis finds that the U.S. would lose nearly $75 billion in GDP. But cutting current levels of U.S. oil dependence by 30%, the impact would be nearly zero. America must also diversify the fuels it relies on to insulate it from the inevitable disruptions in the world's oil supply. --Largest Solar Powered Boat in World Record Circumnavigation Attempt: http://www.gizmag.com/tranor-planetsolar-circumnavigation-attempt/17039/ . This big boat can hold up to 40 persons and can cruise at 14 knots, but it will only have crew of six for its around-the-world journey. - -Weatherized homes saving money for U.S. Families: http://energy.gov/articles/weatherized-homes-saving-money-families-across-us. The U.S. Department of Energy’s Weatherization Assistance Program has supported the weatherization of over 750 thousand homes, including more than 600 thousand homes through the Recovery Act, over the past three years. On average, the program reduces energy consumption for low-income families by up to 35 percent, saving them more than $400 on their heating and cooling bills in the first year alone. 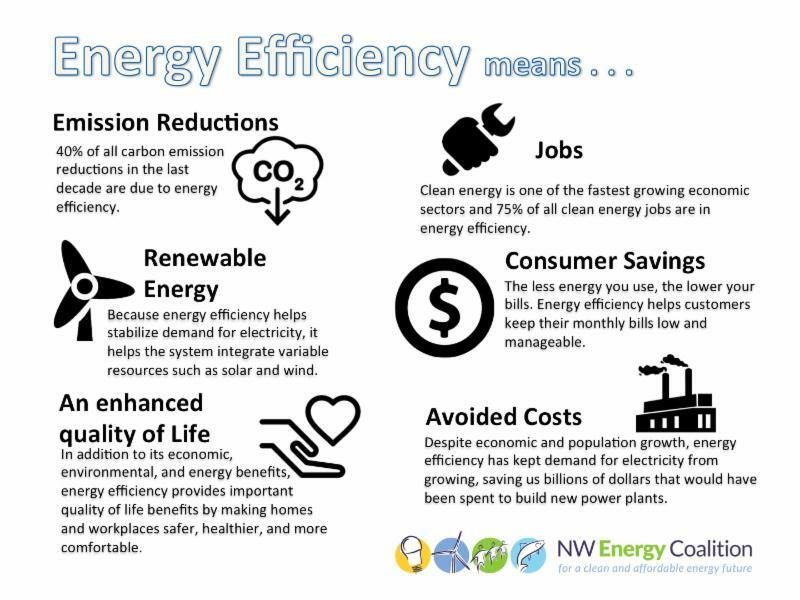 These energy efficiency upgrades include adding insulation, sealing ducts, and installing efficient windows, heating & cooling systems—as well as providing jobs and supporting economic growth. HOT STUFF AT THE OASIS! We grew quite a few HOT peppers last year, some good short-season varieties; we also still have plenty of colorful corn seed to share. If you are interested, send us a few stamps or a self-addressed envelope and we are happy to share our organic home-grown seeds. Independent power is as American as apple pie! There’s never been a better time to go solar! This is the last year for the 30% federal solar Investment Tax Credit (ITC) for a solar power system. Then it will drop 4% and be at 26% for 2020; this includes installations on both residential and business properties – and may even include your RV, if you can call that a second home. The federal tax credit for all installations will end by the end of 2022. You can also find out what state incentives are available for you at www.dsireusa.org. In some states, their incentives, combined with the ITC, can negate up to 80% of the system’s total cost. And all costs are deserving of the credit with the ITC, including permitting, installation and shipping (and perhaps even a new roof if it is needed). Reducing or negating your utility bills, and gaining energy independence (an American value!) through solar power has never been a better deal! Now there are even more options; if you have the need for higher amperage and horsepower, the Picocell will now handle up to 3 HP and 12 amps. 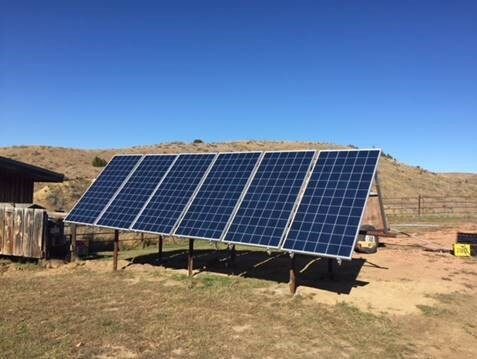 These solar-powered pumps will allow your home or business to qualify for a variety of tax credits, grants, and incentive programs. If you are looking for something to power your large AC pump, We Have It! Check out our new Picocell controllers. Give us a call for more information, 406-777-4321. And if you’ve been thinking of an off-grid water pumping project, you are likely to enjoy this short video from one of our pump suppliers, Lorentz. And if you really want to help support renewable energy in MT, please consider joining the Montana Renewable Energy Association (http://montanarenewables.org/about-us/join-mrea/). They’ll keep you informed as to legislative issues, promote our annual energy fair and offer an informative web site to help promote the advantages of renewables (www.montanarenewables.org). Please consider joining today! Your membership will make a difference. Why energy efficiency is SO important. The cheapest power is that which we do not use. https://nwenergy.org/ for more information! as shown by these downed power lines in a flooding Montana river. We caught these picture canoeing the Bitterroot River last June. Is small wind right for you? Here’s your opportunity to find out! For a limited time only, we are offering the Chinook wind turbine for half-price, at $495 plus shipping. 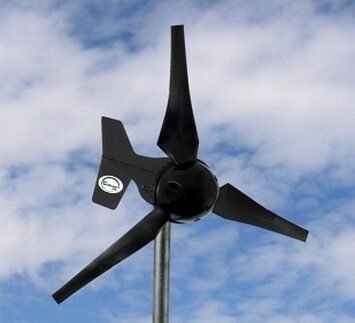 You won’t find a better deal for a quality, American-made wind generator! With a top end of 250W output, this can be a valuable addition to your battery charging set-up if you regularly have winds of 10-12 mph or greater. These mount on 1.5” schedule 40 steel pipe and come with their own dump load controller. They are available as a 12, 24 or 48V charging unit, and were originally designed and built in Montana (so you know they are tough). We’ve had one of these here at Oasis Montana for about five years now, and it still works great. Every spring and summer, we have winds in excess of 80 mph but it keeps quietly making power for our 48V battery bank. These are also suitable for marine use, to help keep your navigation equipment charged and working (as the wind on the water generally seems to be blowing most of the time). We have installation manuals and other information we can send you on these; call if you are interested, 406-777-4309, e-mail us at Oasis or visit our web page at http://www.air403windgenerators.com/chinook-wind-generator.html. and going from a 12V system to replacing with a new 48V inverter for their remote home. Nice going! 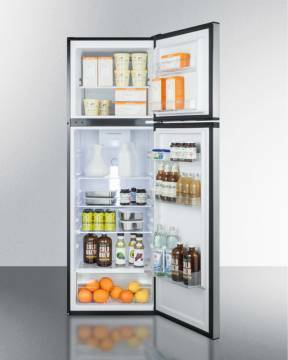 If you have a space-challenged kitchen (or a small cabin needing a fridge), we have an efficient, beautiful AC refrigerator option for you. MODEL FF923PL (uses only 865 watt-hours per day, or .865KWH). 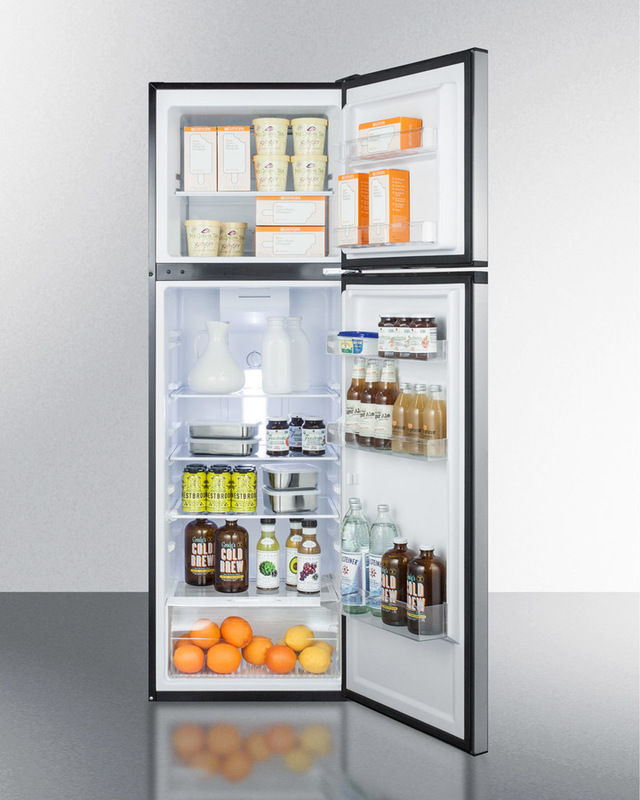 We have other efficient refrigeration options available; visit www.eco-fridge.com for AC & DC offerings, and www.LPappliances.com, for refrigerators, freezers and gas ranges that operate off of NG or LP gas with NO electrical requirements. The import tariffs put on many incoming products hasn’t terribly hurt the renewable energy sector. True, employment in the solar power field has dropped a couple of percentage points in the past 18 months, and some utility-size projects were put on hold, but in general renewable energy jobs are still a very a bright spot in the U.S. economy. Renewable technologies are a global industry; many solar modules considered ‘made in the USA’ still have cells made in other countries; likewise inverters and inverter parts are often made abroad. 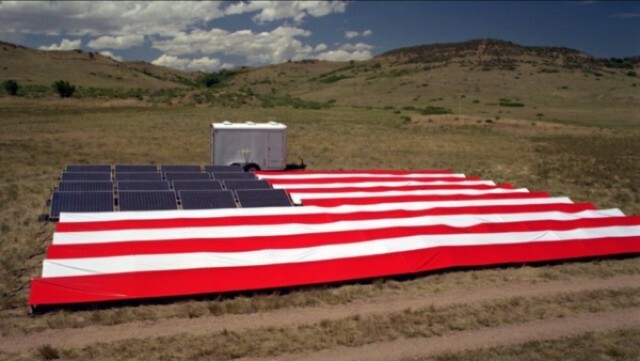 If you are looking to buy American, Mission Solar, Panasonic and SolarWorld are cranking out high-quality modules in our fair country, and we also have access to Longi, Seraphim, Canadian Solar, Trina, Jinko, LG, Silfab, CSun, Yingli and more. We can also get ahold of some of the smaller, 12V nominal modules that are sometimes difficult to find. Let us know what you need for your power project, and we shall find what you seek! Batteries for back-up power: what are your critical loads? The least costly way to get into solar power (if you are hooked up to a utility) is to have a batteryless, grid-tied power system; when the sun shines, the solar modules on your roof or mounting rack make power that goes into an inverter, which converts the electricity into grid-palatable AC power and makes your meter spin slower – or makes your meter spin backwards, if you are making more power than you use. It’s a simple and direct method of reducing or negating your utility bill. However, without batteries, if the power goes out, these systems shut down (to keep the power lines from being live to protect any line workers). 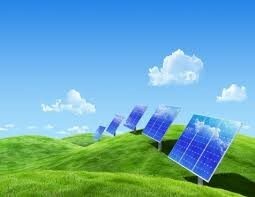 It can be frustrating to have a solar power system but not be able to use it if the power goes down! There are now ways to add battery back-up to these kinds of power systems. The number of batteries needed will depend on the loads you want to power. It may be very costly to, say, power your entire home or business but if you have any important loads (like a refrigerator, or keeping necessary computers on line) – that’s how we design the size of the battery back-up needed. If your power outages are brief and rare, then you won’t need the number of batteries that someone might need if the power tends to go out for days at a time! Like any other system design, the electrical load information is most important. We have a lot of basic battery information at www.oasismontana.com/batteries.html; most of the information is about FLA (flooded lead-acid) batteries, but we offer a lot of other options for battery back-up. Call us if you are interested in back-up power in the event of a utility outage! Anyone who knows me, knows I am a chicken fancier and raise batches of chickens from time to time. Some of my friends even refer to me as the ‘chicken whisperer’. I’ve been keeping chickens for nearly forty years, and was raised around them as a kid, and I’ve learned some tricks about helping them to survive winter in good health. One of them is to keep clean water in front of them at all times. I have one of those heated dog waterers; it holds about a gallon; I put fresh water out every morning then top it off later in the day, and that provides enough water for my 14 chickens. The waterer itself uses about 40 watts, and when it gets above freezing it shuts off as it is thermostatically controlled. So it is not a large electrical load on my solar power system (still, that’s almost a kilowatt-hour a day when it’s cold). There are companies that sell heated chicken waterers, but they tend to use substantially more power. I have a small chicken house that is only 6 x 8 on the floor area, but with the nests and built-in roosts, it’s pretty easy to keep clean, and its smaller size enables the chickens to stay warmer in winter than they would in a larger shed. I use a good grass hay for bedding, and rake it out when it gets soiled (and have enough from ‘the girls’ to side dress all of my fruit trees with the manure and hay at least once a year). I have to clean their house more in winter, as the days are shorter and they spend more time indoors. But I do have a 10W LED light and timer that comes on in the chicken house about 3 a.m. – and that increases the photoperiod enough that my hens lay very well through the darkest time of the year. I used to think that hens needed some ‘time off’ in the winter – but I no longer believe that is true; when a hen chick is hatched, she contains all the embryonic eggs she will ever lay, so it’s up to us to provide the nutrition and environment to maximize their egg-laying capabilities. There are breeds that are certainly more suitable for colder climates (and I won’t go into that in great detail, as there’s lots of information about that available), but the breeds I favor are for hardiness and egg-laying ability. The Plymouth Rocks and Ameraucanas are high on my list (and I love the colored eggs), although I presently have some crossbreeds that are prolific layers of large eggs. I feed my chickens organic grains; it’s considerably more costly but – when you consider what goes into chicken feed (mostly corn and soy) – I’d rather not have any transgenic pesticides in their feed. I eat (and sell) their eggs and sometimes I eat my chickens too, so I want all to be of the highest quality and free of chemicals. We have designed systems for barns and sheds to provide lighting; like all systems it all depends on how much power you need and the loads you desire to run. We don’t get a lot of sun in the winter, here on the western side of the continental divide, and I don’t have a separate system just for the chicken house; we run an electrical line out there from my inverter system that powers my home/office. And the results are gorgeous, tasty eggs and healthy chickens. Please feel free to share this newsletter – knowledge is power!